During Christmas, we people generate high volumes of waste. Even though we are improving our practises regarding managing our waste, the people of Ireland need to be more vigilant about separating recyclable waste from non-recyclable waste, it is not a difficult task to carry out – one just has to alter their habits. With regard to batteries, we use batteries in our laptops and phones, and the mountains of electronic toys delivered by Santa or gifted by generous friends and family. WEEE Ireland have the ability to recycle the old and used batteries, waste electrical and electronic equipment. Many of us have real Christmas trees to dispose of after Christmas. Most County Councils recycling facilities have set dates whereby people can take in their real Christmas trees free of charge to dispose and recycle them. So overall, if we manage our waste properly, each of us can make a big difference in reducing the amount of recyclable waste reaching landfill. 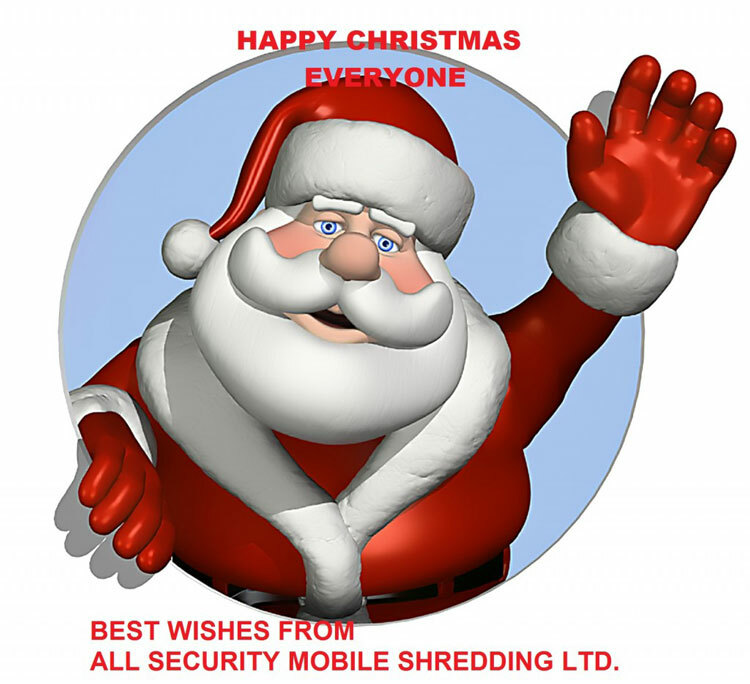 On that note, we, All Security Mobile Shredding Ltd want to wish each and every one of our readers, followers and clients a Happy and Safe Christmas. This entry was posted in Christmas Waste Category, Confidential Shredding, Corporate Social Responsibility, Data Destruction, Recycling by Security in Shredding. Bookmark the permalink.